San Francisco, California is known for its year-round fog, the iconic Golden Gate Bridge, antique cable cars, and colorful Victorian houses. It’s also the most expensive city to live comfortably in the United States. But don’t let that cause you any discomfort because San Francisco is one of the best places in the United States to enjoy mezcal. It’s home to mezcal blogging duo Mezcalistas, brands like Neta Mezcal, and is the backdrop for the incredible origin story of Mezcal Tosba. 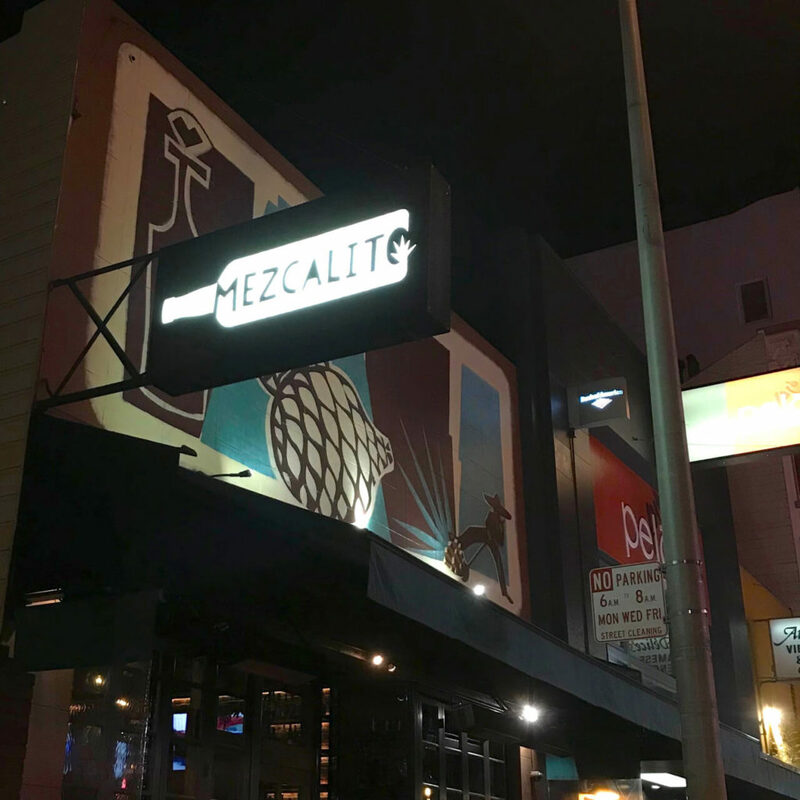 Members-only mezcal clubs like the Rare Spirits Society meet in SF bars regularly to taste the latest and greatest mezcals from Oaxaca and beyond. As a frequent visitor I’ll do my best to recommend the best bars, restaurants, and stores to find the good stuff.. but if I’m missing anything please leave a comment. 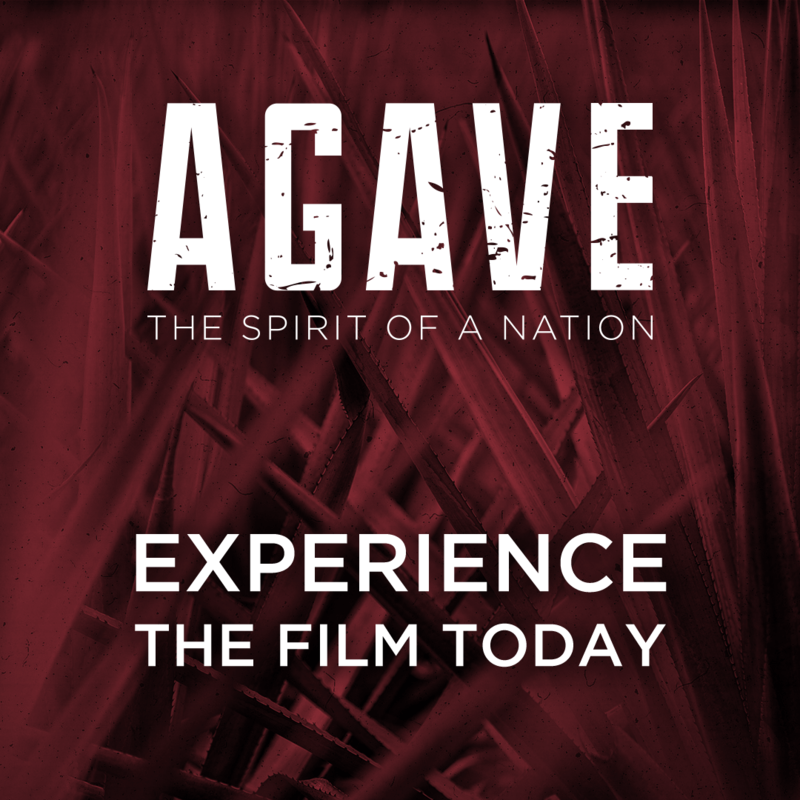 Also, if your agave journey leads you into one of these fine establishments, tell them Mezcal Reviews sent you! San Francisco has an incredible bar and restaurant scene. As you’d expect from this seaside city, the seafood is top-notch. 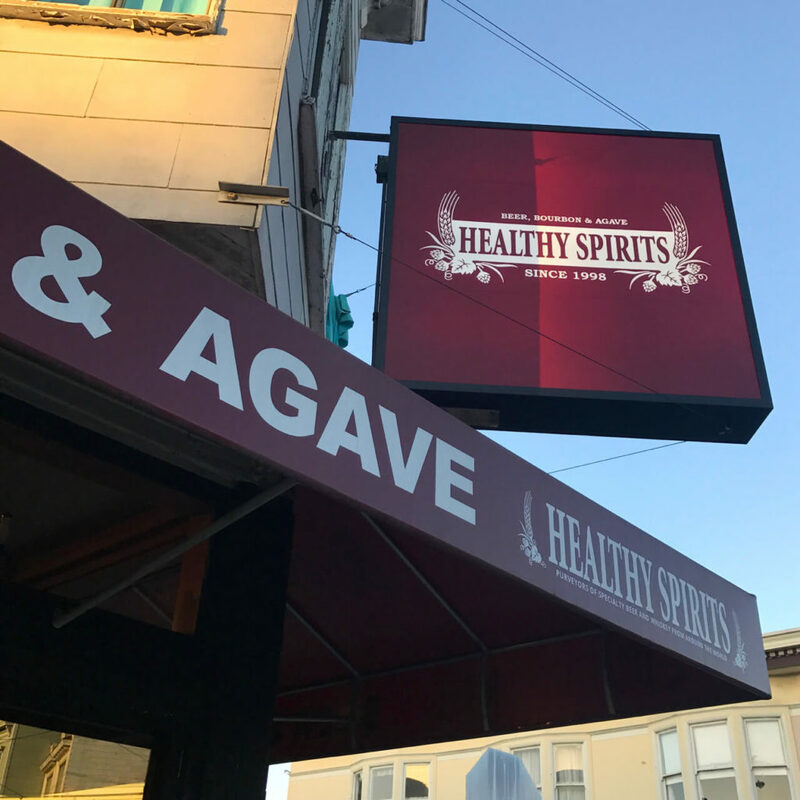 Beyond that, every neighborhood has a unique identity with its own food and drink scene: North Beach, Chinatown, the Mission, the Castro, SOMA, the Tenderloin, and many others. Here are a few places to visit for mezcal. 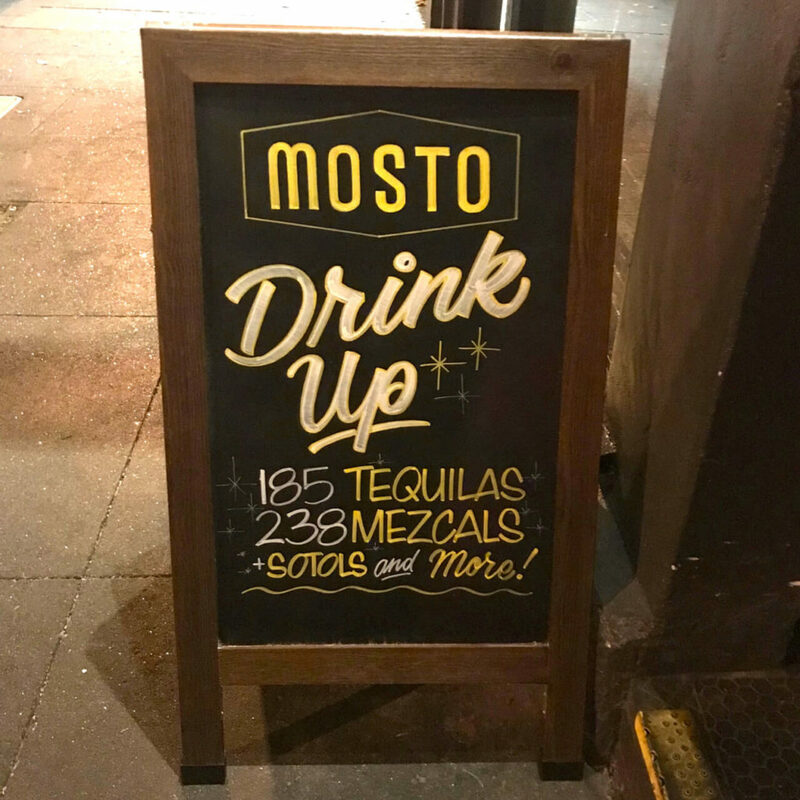 Mosto is on Valencia Street in the Mission District of San Francisco, a few blocks east of Dolores Park. Mosto began as a cocktail lounge and small eats bar next to its sister restaurant Tacolicious. 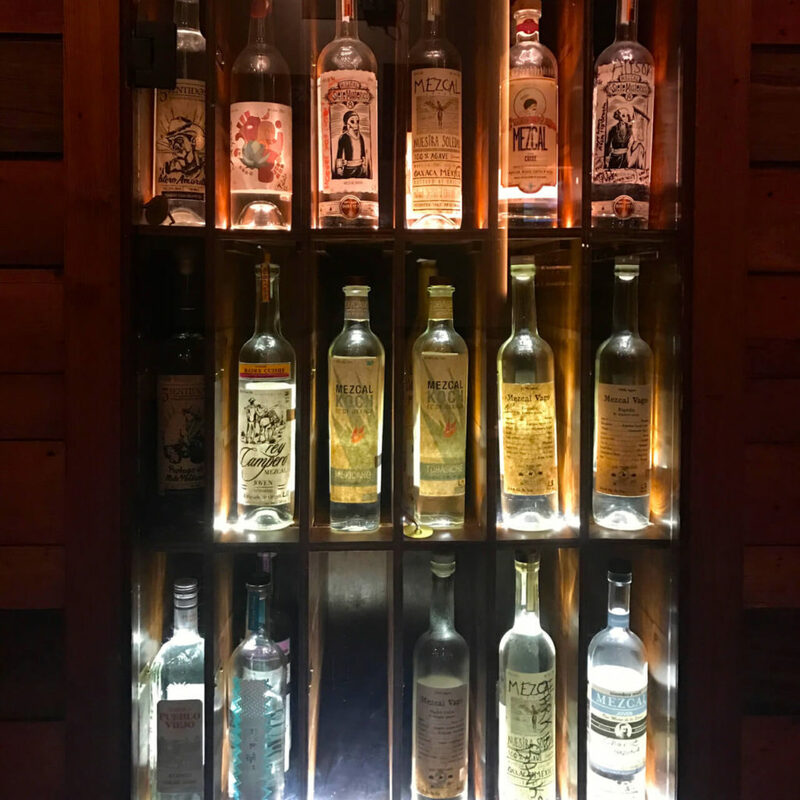 Thanks to the passionate team behind the bar, it has evolved into one of the largest collections of mezcal in the United States. As you step inside you will pass the al pastor trompo, spinning delicious pork and pineapple all afternoon and evening. Your cellphone will be rendered useless with No Service inside Mosto, which is good – forget the outside world for an hour or two. 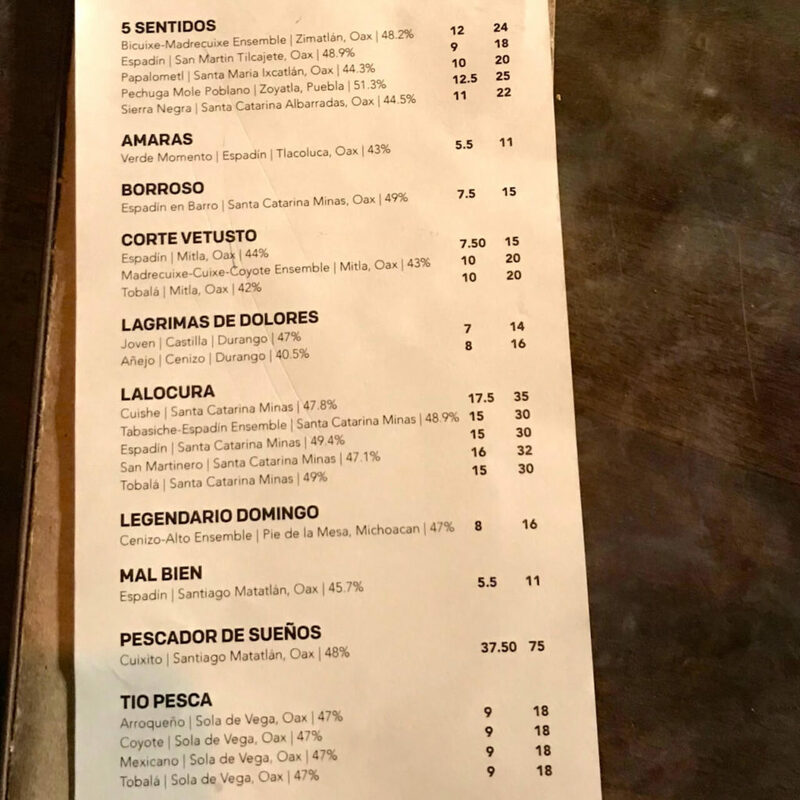 Now, order mezcal and talk with the Mosto team. If Candice, the bar lead, is there, ask her about Oaxaca.. she is probably leaving soon or just got back. 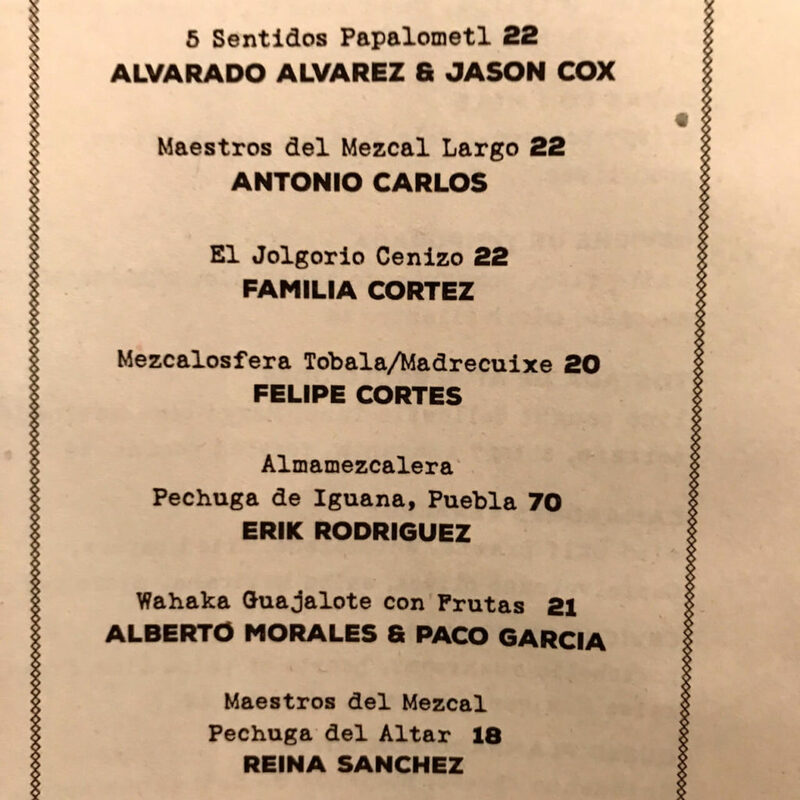 The mezcal collection is constantly evolving but the team does a great job of keeping the menus it up-to-date. If you find something you like and need a full bottle, look no further. 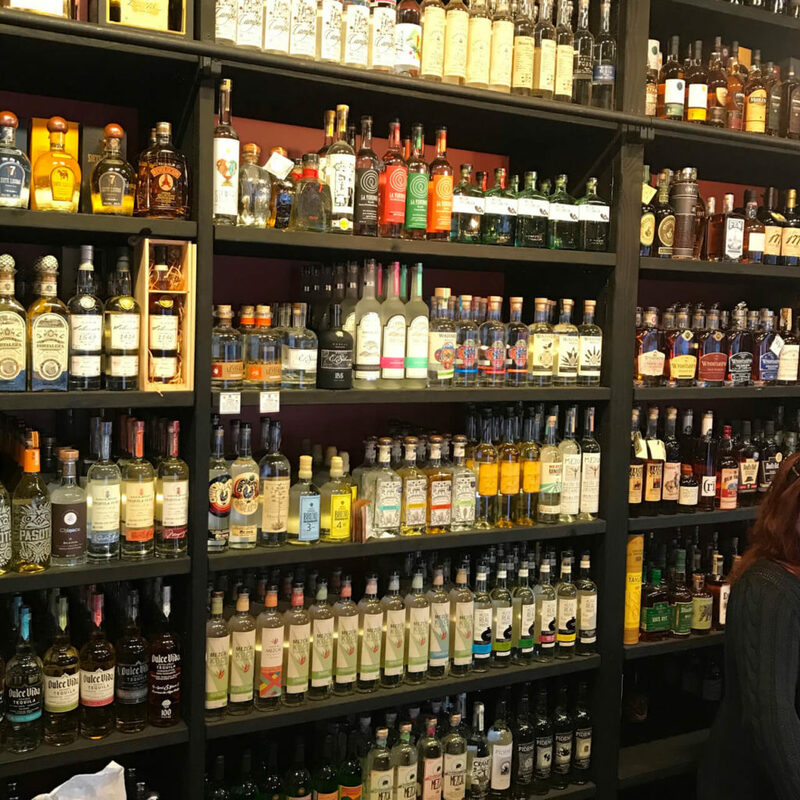 Not only does California have a plethora of online spirit stores, the brick and mortar bottle shops in SF are some of the best-stocked in the nation. When it comes to mezcal, California knows how to party. Let us know what you think about these recommendations. Tell them Mezcal Reviews sent ya! If you have any other ideas, please share them in the comments. 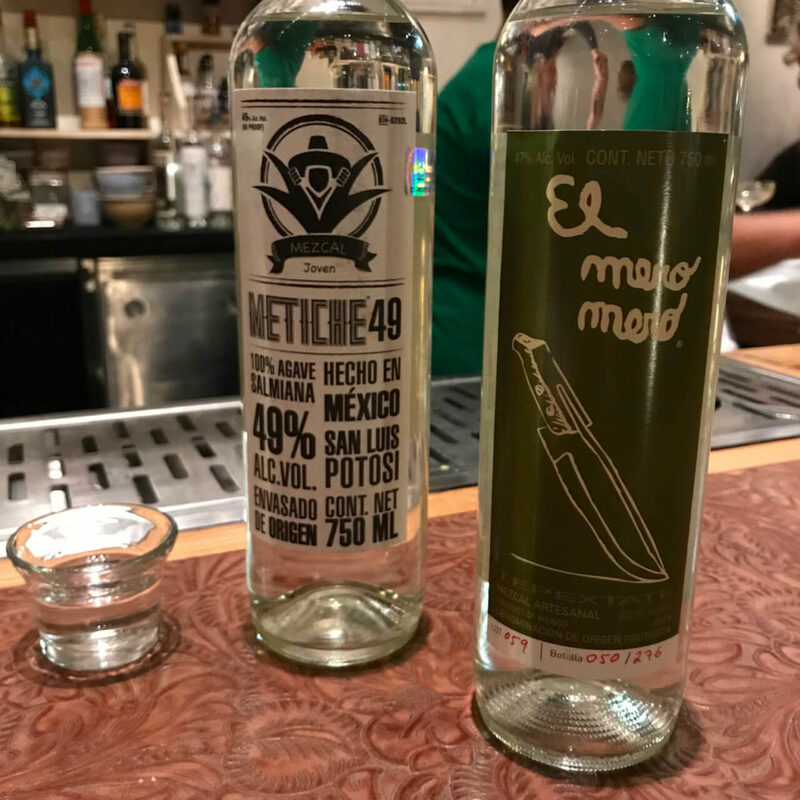 What are the other big mezcal cities in the US? Chicago? New York City? We’ll see you soon.